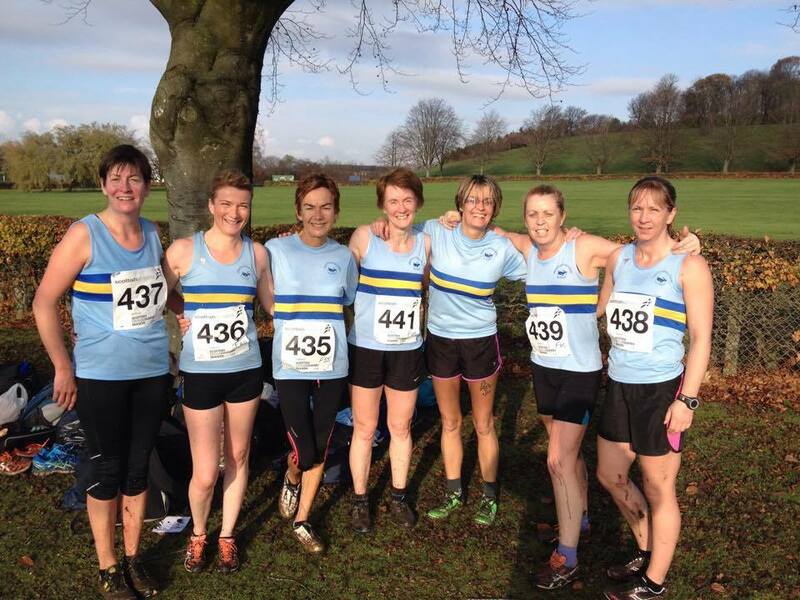 A tired Ladies Team, most of whom had ran the 10k 24 hours earlier at the same venue. A large turnout of 18 Men was rewarded with the team finishing 10th, equalling their best ever in the competition, and securing 9th place overall in the mini XC race series. Robert Wilson though was the star performer in the mud as he finished 1st in the Over 60s category. The Day started well when Shelby Morrison, at last putting a disappointing summer behind her, finished 9th in the under 15 girls race and 4th best in the West district, almost certainly guaranteeing her a place in the Inter-districts at Holyrood in January. This entry was posted in Uncategorized on November 10, 2014 by greenockglenparkharriers.